Our Stories in Our Voices addresses perennial questions: “Who am I?” “Where do I come from?” “Where am I?” and “Where am I going?” through stories of ethnic identity development, historical events important to people of color in the United States, use and misuse of land, and coalition building across ethnic communities for social justice ad self realization. In addition to traditional essays, this anthology and accompanying workbook includes photo essays, reality-based comic strips, interviews and narratives from high school students. Dale Allender, Ph.D. is an Assistant Professor of language and literacy in the Department of Teaching Credentials at California State University-Sacramento; and a mentor for the National Urban Alliance working directly with students, teachers and administrators in the Buffalo, New York and Minneapolis, Minnesota public school districts. He Is the recipient of a National Endowment for Humanities fellowship for the study of Native American Literature, and a National Association of Multicultural Education Media Award for his work on the television series The Expanding Canon. He is currently an Advisor to the Center for Black Literature and Teaching Tolerance. Dr. Allender is the founder NCTE West at UC Berkeley, which he directed from 2003-2015. Gregory Yee Mark is a Professor of Ethnic Studies at California State University, Sacramento. In January 1969, as an undergraduate student at University of California, Berkeley, he was a part of the Third World Liberation Front that went on strike (the “Third World Strike”) at the Berkeley campus to create the discipline of Ethnic Studies. During this transformative student strike, he was tear gassed, shot at by the police, and most important, he learned the true meaning of creating a relevant education for all people. He is pioneer in the field of Asian American Studies. Starting as a student, Dr. Mark was a community organizer and activist in Berkeley and Oakland. In 1969, in Oakland, he founded the East Bay Chinese Youth Council which addressed the vary challenges of Chinatown youth such as gangs. He continued this role as a community advocate and educator while a professor in San Jose, Honolulu, and Sacramento. He has fought for social justice, better educational for the underserved, preventing youth violence in the Asian American community, and a broader and more correct interpretation of American history. Dr. Mark is a pioneer in service-learning, and in 2001, he founded the 65th Street Corridor Community Collaborative Project which has served over 24,000 Sacramento residents. In 2016, this Project celebrates its 15th Anniversary of service to the community. 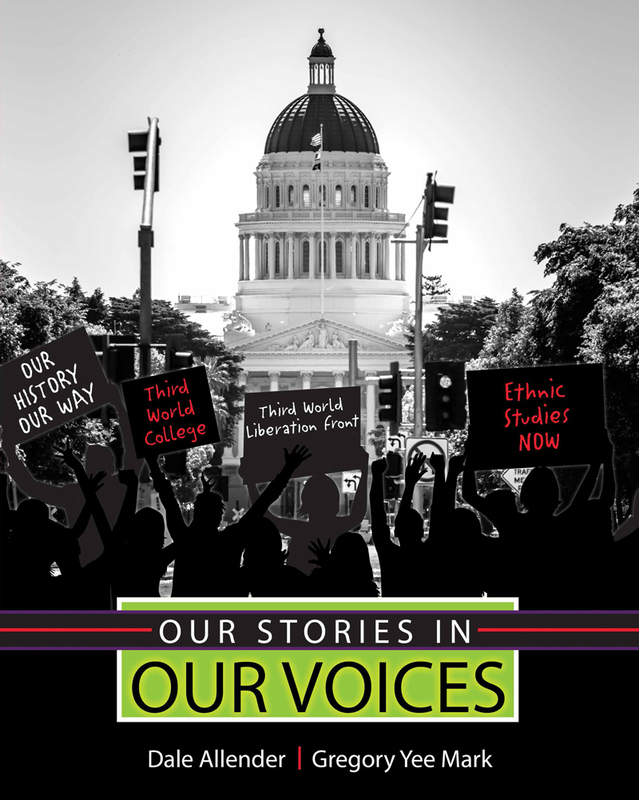 This Anthology, Introduction to Ethnic Studies, examines American history, education, ethnic identity, and the continued struggle for social justice through the lens of people of color in the United States. Last, the chapters in this publication, begin to bring to the forefront topics that have been largely ignored but are essential for students to learn so that they can service their own communities.